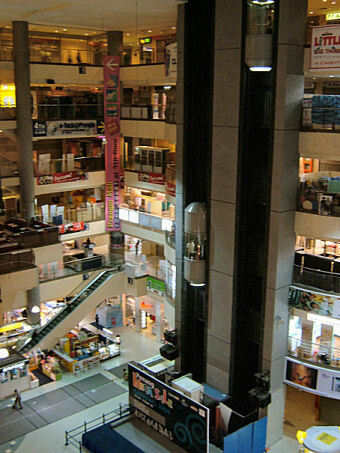 The Prangin Mall is the most popular shopping complex in Penang. It's located right smack in the centre of George Town. The mall is never short of visitors, thanks to its strategic location. It's attached to the Komtar, which is older shopping complex and very quiet, because some shops are closing down or relocating their stores. The Prangin Mall has some resemblance with the Sungei Wang Plaza in Kuala Lumpur, which also very popular by tourists and local people. You can reach the Prangin Mall by crossing a very heavy road. Please pay attention when you cross the street. You can also enter the shopping complex from the old Parson Grand by crossing a sky bridge. 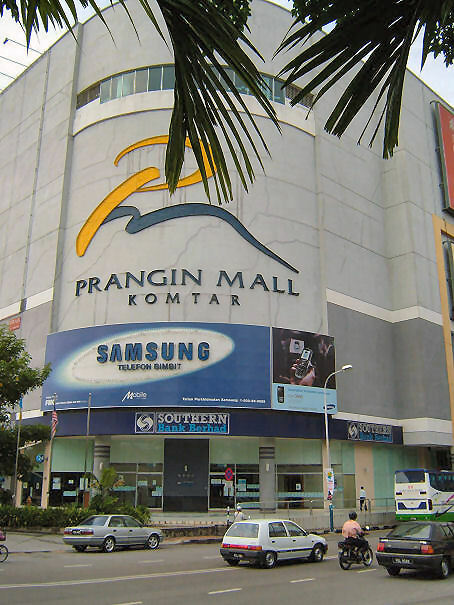 The Prangin mall offers me a cutting-edge consumer experience complete with the obligatory Starbucks, McDonald's restaurant and Parkson Grand.It's a sparkling outpost of ultramodern Penang. Features five-floors of shopping, dining and entertainment. The Megapavilion Cineplex is located on the 5th floor. The latest addition is a section on Level 4 called e@prangin which is specially reserved for shops selling computers and related items. HP, Epson and Canon have outlets here. A Macintosh kiosk is located on the foyer. 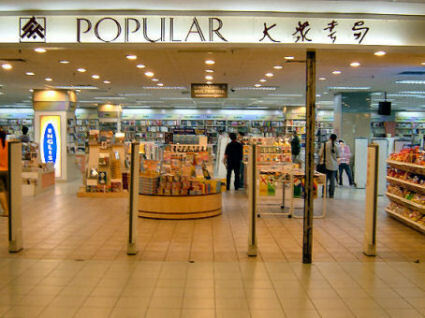 There's also a very good bookstore: Popular, where you can buy cd's also. You can find all the latest gadgets and gizmos. At Prangin Mall you can find something to suit everyone. The Mall is however not well organised which can make for tiring shopping. Many shops are selling dvd's selling for RM6. For this price they are 'single layer' (not the best quality). One shop on 4th floor has for RM12, 10 if you buy a few, and these are 'double layer', much better quality. If the movie has just come out, or in some cases, not hit the big screen, then there is of course a very good chance that they were filmed in a cinema, hence the heads.